"We don't know if your daughter will have problems with speech and language. The stroke injured the area where speech is usually located." These were just a few of the words that we heard when our daughter, less than a month old, was diagnosed with having experienced a stroke. The doctors suspect that the stroke occurred sometime near birth. 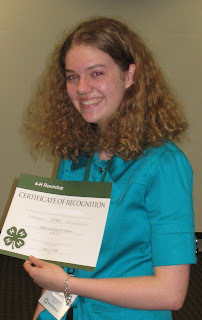 Fast forward 15 years.... We're very excited to share the wonderful news that our daughter placed FIRST in her category at our state's 4-H competition... in public speaking! She gave a speech on how to prevent traumatic brain injury, which she hopes will help others in the future. Let's Celebrate! Gavin is Sitting Up by Himself! 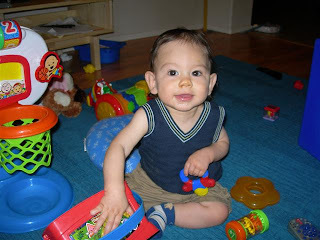 My son Gavin is 14 months old and has cerebral palsy on his left side. This means that his left hand, arm, and leg are weak, due to a brain injury. Last night he was on his back and sat up completely! He did it the way that we have all be showing him. He rolled to his strong side and put his right arm out and BAM! I yelled for my husband and Gavin sat up five more times. He woke up this morning and he's still doing it. We are so happy! Now, for the other side! !